Monday, we meet again! Who else had the laziest weekend ever? I sure did! We were productive and got errands done but did a whole lot of laying around our apartment. Which to be honest, I don't feel bad about at all! We rarely have lazy weekends and this was just what we needed! We feel relaxed and rejuvenated for the week ahead! 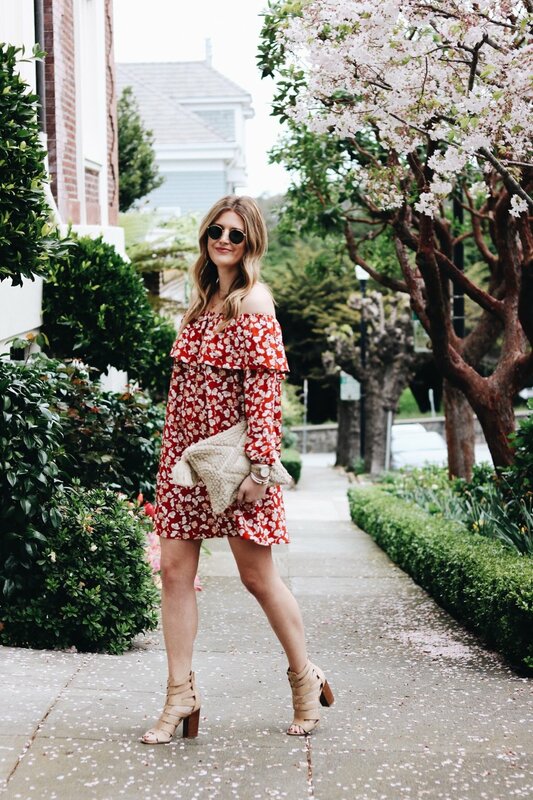 Now let's chat about this floral print dress… YALL this thing is so perfect for spring!! 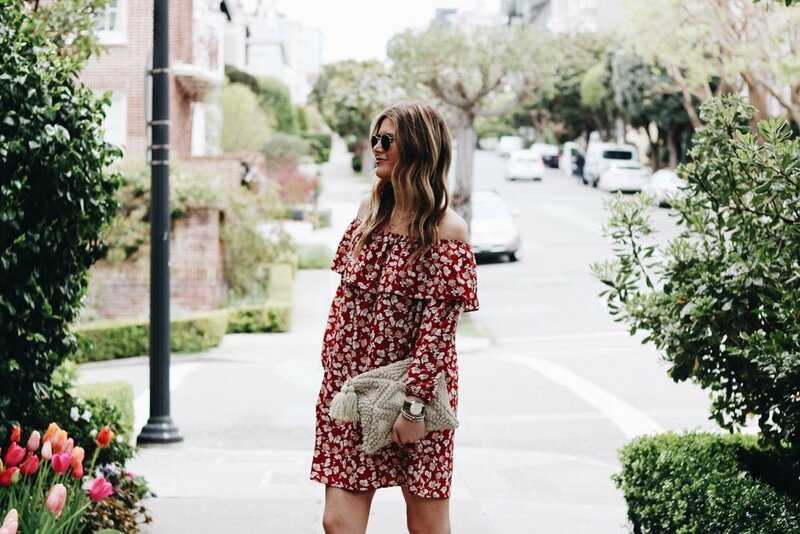 I am beyond obsessed with the ruffle detail which is a huge trend for spring! And this baby will not hurt your wallet. 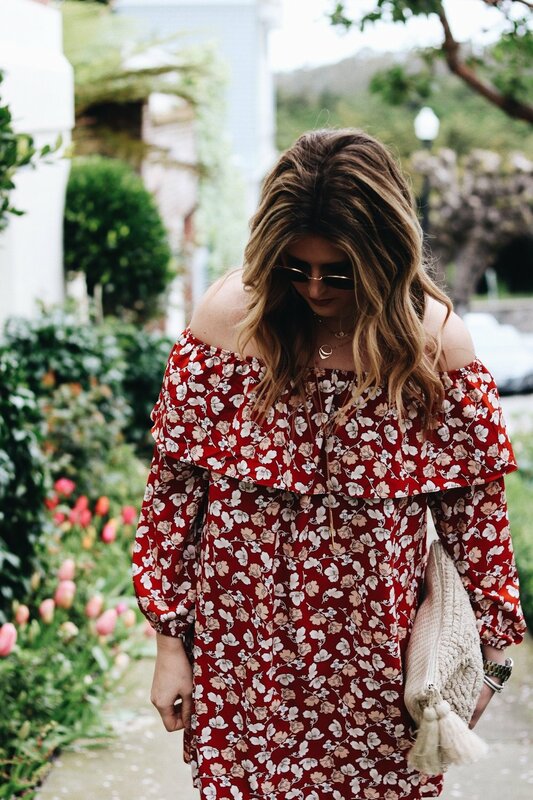 Shop my look in the links below!